When presented with a challenge, I usually step up to the challenge. And, isn’t Pinterest the mecca for all things you want to do, but don’t ever end up doing? For some that is the case and others, not so much. I am proud to say that most of the items I have pinned in my projects board on Pinterest have either been done, started, or are just about to begin. 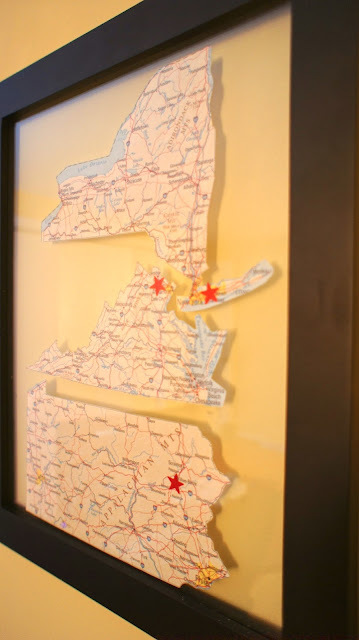 Here are some of my favorite pinned projects that I have done over the last few months. This has been the number one hit on the blog. It is cheap, quick, and really works. 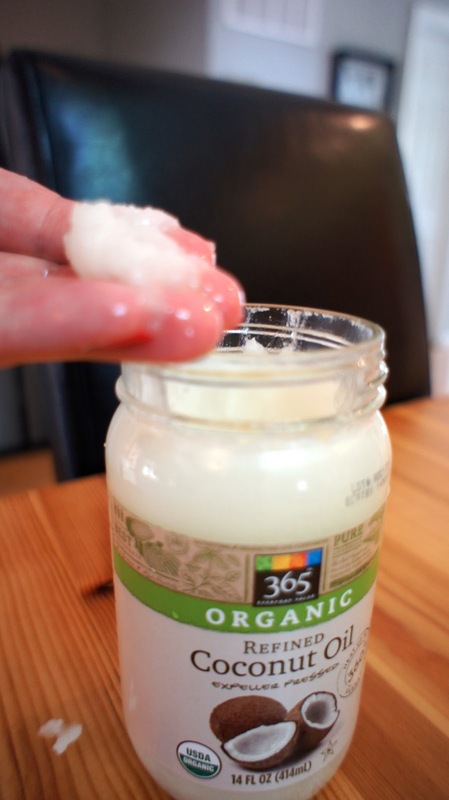 There are many other uses for coconut oil from lotions, to face scrubs. The list goes on. Terrariums are huge right now and they all are so diverse. I originally pinned my idea from Making It Lovely . 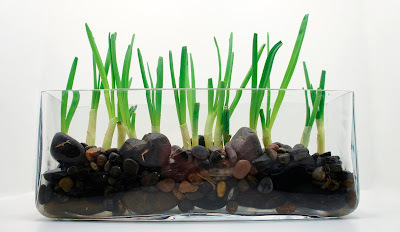 My setting was a bit different, but overall a terrarium is a living decoration for the home. This was all over Pinterest and I jumped right on the bandwagon. The clear vase was purchased at my favorite store, TJ Maxx for under $5 and the beads came from my local craft store. Now I can access the brushes and they are pretty to look at too. There were many methods to get your brushes clean, but I stuck with gentil soap and olive oil for the deep clean. I originally pinned the idea from The Beauty Book. Witch Hazel has always been my pick for the daily clean. If you can get past its "wonderful" smell, you will notice how much cleaner your brushes are on the regular. This was pinned from Baked by Rachel and was a great idea. I used the green onions to replace the fading paper whites in my kitchen. There is also the added benefit beside using this as a décor piece, just snip off some onions to use in your next meal. I did it the other day and giggled. I saw so many ideas for scar organization, but I really believe it depends on the space you have and how many scarves you're working with. Some inspiration came from Be Different, Act Normal, but I ended up using my own method mainly because my collection of scarves was too large and needed a larger home. Unfortunately I can't give credit to anyone on Pinterest becasue my pinned idea doesn't lead to a website. There is an almost exact copy from Live in Imagination, but not where I originally got the idea. I made a few of these for my girlfriends and bought earrings as their Christmas gifts. 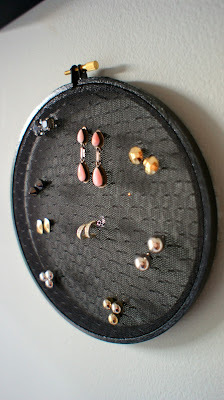 I am still religiously using this holder in my closet. It really allows me to see what I have to choose from so I don’t get stuck in a rut wearing the same pair all the time. Since doing this idea, I have seen numerous others post their own personal necklace organization ideas. I originally pinned the idea from Be Different, Act Normal. 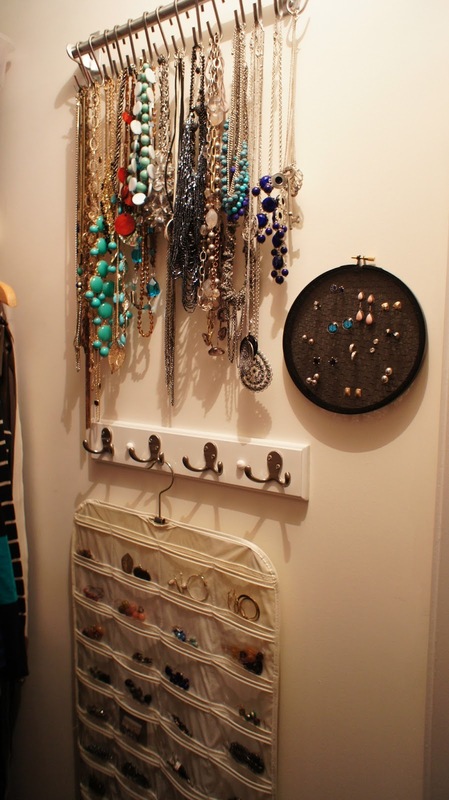 Again, it is all about the amount of necklaces and the space you have. The rod with hooks has been a huge hit, but all have their own twists. It makes me sad thinking one day I will eventually be moving and may need to leave my system. I hope the new homeowner would use and appreciate it as much as I do. I love this idea and wish I could give props to the person who originally pinned it. When clicking on the link, all you get is a link to printing up the maps from a .gov site. It was an easy project and a thoughtful one for a couple who has lived in many places. So there were a lot of places that I got inspiration from for my under sink organization. The size did matter (LOL) of both my under sink areas in the guest bath under sink organization and the kitchen under sink organization. I got the idea for the stress rod from Minding My Nest. It hasn’t fallen down once and still has to be the best space saver. The idea for the curling iron holders came from curbly.com and it totally rocks. Our master bathroom remodel is almost done and I can’t wait to put some of those PVC pipe wonders up. As you can see, PINTEREST = CRACK! For someone who always has ideas running through her head for projects, it can be overwhelming, but totally inspirational. I can’t wait until the day when Jeff and I have a new home and I can put some of my other ideas into play. For right now I will continue to pin and dream.